An effort to repossess stock awards from two advisers not only failed but produced costly consequences for Ameriprise Financial. 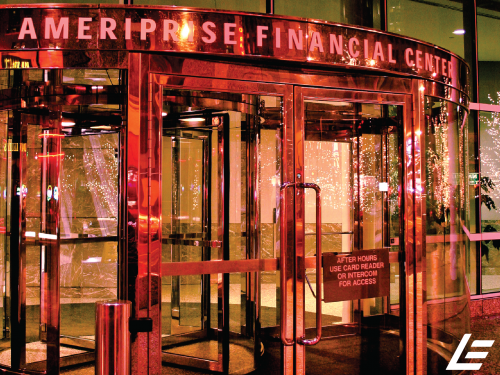 In March, FINRA arbitration panels awarded the two advisers with more than $500,000 for Ameriprise’s alleged misconduct including unfair trade practices and breach of the Broker Protocol, a legal framework governing how advisers can transfer to new firms. The conflict began when the two representatives left Ameriprise in January of 2014 to work with Janney Montgomery Scott. They worked in the same office, but, according to attorneys, were not a team. Before working with Ameriprise the two brokers worked in the advisory unit of H&R Block, which was sold to Ameriprise in 2008. Upon the acquisition, Ameriprise Financial, parent company of Ameriprise’s brokerage unit, issued a stock award to advisers as an incentive for them to stay on with the new firm. The stock award had a five year vesting period that ended January 2, 2014. One representative sold his shares four days after the vesting period and subsequently resigned on January 27, 2014. The parent company quickly after tried to reclaim the stock awards by using the American Arbitration Association (AAA), claiming that, as a separate entity from the brokerage unit, it was not bound by the Broker Protocol. It then used this status to arbitrate outside of FINRA. This marked an unusual play in employment disputes between advisers and firms, as they are almost always resolved in FINRA’s arbitration process. In the event that the advisers had lost, a precedent might have been set allowing firms to dodge the protocol. The final blow to Ameriprise came with parallel cases filed with FINRA in which the two brokers sought damages against Ameriprise for unfair trade practice and breach of Broker Protocol, among others. The two won an additional combined $505,000 for damages and attorney’s fees. The FINRA arbitration panel did not publicly explain its decisions which is customary. The attorneys of Eccleston Law LLC represent investors and advisers nationwide in securities and employment matters. Our attorneys draw on a combined experience of nearly 65 years in delivering the highest quality legal services. If you are in need of legal services, contact us to schedule a one-on-one consultation today.